As for the Netflix content, the source adds how the documentary “will be tied to her Coachella 2018 performance” including additional and never before seen footage. More recently, Beyonce and Jay Z accepted the prestigious Vanguard Award, at the 2019 GLAAD Media Awards. Beyonce delivered a powerful speech about acceptance and how LGBTQI rights are human rights. Hollywood, CA – The brilliance of Jordan Peele’s Us lies in its urgency to compel moviegoers who have seen the gripping thriller to think about what it all means. From the creepy rabbits to the mumbling-tethered clones and the mind-bending analysis Us necessitates, the Get Out director explained the film’s puzzling plot twist and eerie use of Luniz’s “I Got 5 On It” on the Empire Film podcast Tuesday (March 26). Peele worked on Us for nearly two years and it pulled in more than $100 million at the box office upon its release with Academy Award-winning actress Lupita Nyong’o and Avengers: End Game actor Winston Duke as its lead stars. Jordan revealed one of the major themes of the blockbuster film is duality, which is what the rabbits symbolized. Overall, Peele wants to fans of the film to explore what the movie ultimately means to them and look towards themselves. He also breaks down the film’s final scene when Adelaide gives her son a mysterious smile as he pets his new rabbit ominously. Jordan Peele’s latest project is a revamp of The Twilight Zone, which made its debut Monday (April 1) on CBS. Listen to Jordan Peele explain Us plot twists on The Empire Film Podcast below. Rihanna was in London last night for her Fenty Beauty party and she had the best time partying with attendees and fans alike. The “Work” singer stunned in a yellow mini-dress that was dramatic in all the right ways while she danced, sang karaoke and even played some beer pong. There’s no shortage videos from the event where Riri even sang along to her own tunes. When it came to beer pong, Riri had her own customized Fenty Beauty table with gold cups to really show-f the game – wonder if she won? Aside from her singing and beer pong efforts, Rihanna took some time to let loose and move on the dancefloor. It’s great to see Rihanna in such great spirits since she recently shared a heartfelt post about the passing Nipsey Hussle. “Still can’t think about anything else…can’t believe someone would rob us you,” she wrote in her second tribute. The pro-Michael Jackson documentary petition remains well, well short of its fundraising goal. In Leaving Neverland, two men, Wade Robson and James Safechuck share their experience with Jackson as children. In the explosive documentary, both men, now in their 30s, say the late king of pop sexually assaulted them. As expected, the controversial documentary has received sharp criticism from the Jackson estate. Denouncing Leaving Neverland through multiple written statements, the Jackson family has filed a $100 million defamatory lawsuit against HBO. Now, one Jackson member has fought back against the claims. And, he’s asked the public for help. In a new interview, Taj Jackson, the 45-year-old son of Tito Jackson, revealed his plans to save his uncle Michael from the fallout of Leaving Neverland. So, to counter the negative press and clear Michael Jackson’s name, Taj will create his own documentary series. To get started, he set up a GoFundMe page. The Untitled Michael Jackson Series petition remains well short of its $770,000 goal, currently having raised $114,763. The GoFundMe page first launched on January 25th, 2019. “MJ fam – here we are in 2019, the 10-year anniversary of my Uncle’s passing. We all knew this would be a difficult year for so many of us worldwide. “Once again, we have to defend Michael Jackson’s name and legacy from vicious and calculated lies. We can no longer sit back and wait for the ‘right thing’ to be reported or for someone else to step in and champion our cause. Taj explains Dan Reed had never approached him nor the Jackson estate during the production of his documentary. Taj adds he participated in over 200 sleepovers and never saw nor suspected any kind of sexual misconduct. Dismissing Robson and Safechuck’s allegations, he explains they remain only interested in making money. Taj, himself a victim of sexual abuse, said the unproven documentary’s ‘tone’ completely infuriated him. “[Robson and Safechuck] just have a platform now and they have a movement that they’re utilizing – a movement where we believe the victims no matter what. You can view the GoFundMe page here. Featured image by Edward Leung (CC by 2.0). Late last year, Scooter Braun and Troy Carter in a lawsuit that quickly turned bitter. Several weeks ago, that lawsuit came to an amicable end. Both sides on a joint notice of settlement. Financial terms of the agreement remain unclear. Now, fresh off that lawsuit, Carter has made a new move in the music industry. The merger will allow both companies to “build an integrated solution for artists distribution, management, label services, and data analytics with a highly collaborative artist-driven approach.” Carter and J. Erving’s goal remains to create an ecosystem where entrepreneurial artists receive support throughout their career. In addition to working with Q&A/Human Re Sources, Carter will continue serving as Entertainment Advisor of the Prince estate. “My time spent at Spotify allowed me the opportunity to see gaps that still exists between the music business and technology. The murder Nipsey Hussle has been a low point in recent history, and the outpouring condolences his family has received speaks to the impact his legacy. And while nothing can bring Nip back, the man suspected taking his life – Eric Holder – has been taken into police custody after being arrested near a Bellflower mental hospital. Now, TMZ has revealed that Holder is currently being held in solitary confinement, as police believe he’s made himself into a massive target. In short, those in general population will likely think little Nipsey Hussle’s killer, and act accordingly. As it’s likely that Holder will face life behind bars, it’s unclear whether his stint in solitary will follow suit. In the meantime, police plan on keeping him there. Once he’s transferred to L.A. County Jail, Holder will reportedly remain in isolation until his trial date. With a bail $7,040,000, it’s highly unlikely that Holder will find a way out his current situation. Though some feel as if Holder is being let f easy, consider the maddening nature extended periods in isolation. Still, it doesn’t bring much in the way satisfaction, given that Nipsey Hussle is no longer with us, nor will he ever be. Days later, the loss still hurts. We can only imagine how his loved ones, including girlfriend Lauren London, must be feeling. Our condolences go out to his friends and family. 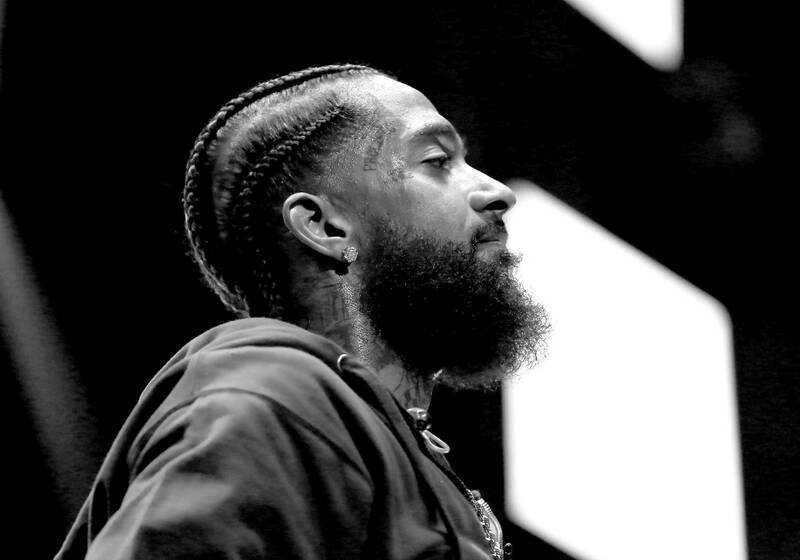 Read our tribute to Nip’s legacy here. New Orleans duo $uicideboy$ have been highly successful in the underground, continually coming up with bangers for their large fanbase. The group has associated themselves closely with a number musical acts around the county, collaborating regularly with a long list names. Some the most frequent artists popping up on $uicideboy$ records are Germ, Pouya, and others. On the upcoming Greyday Tour, $crim and Ruby da Cherry will have an opportunity to show f their extensive network on stage, inviting along a slew guests for their latest headlining tour. Making the announcement today, the New Orleans duo revealed tour dates and support acts for each show on the schedule. Spanning from July to August, the collective will be putting on shows in markets like Brooklyn, Los Angeles and, course, their hometown Nola. Aside from a few the shows, the whole gang will be showcased together, comprising $uicideboy$, Denzel Curry, Germ, Pouya, Shoreline Mafia, City Morgue, Night Lovell, Turnstile and Trash Talk. General tickets will be going on sale this Friday on the G59 website. Will you be checking out the underground icons on tour this summer? Peep the full list dates below. 7/30/19 – DALLAS, TX – THE PAVILION @ TOYOTA MUSIC FACTORY #$%&=! 7/31/19 – HOUSTON, TX – REVENTION MUSIC CENTER #$%&=! 8/3/19 – NEW ORLEANS, LA – MARDI GRAS WORLD #$%&!? 8/4/19 – ATLANTA, GA – COCA-COLA ROXY #$%&!? 8/11/19 – WORCESTER, MA – THE PALLADIUM OUTDOORS #$%&!? Just a couple weeks after Philadelphia nabbed its biggest cocaine bust in the history the city, an apartment in Harlem has now been busted with over $10 million worth heroin and fentanyl. NY Daily News reports that over 77 pounds heroin and fentanyl, as well as bricks drugs labeled “Pablo Escobar” were confiscated by police just yesterday on Lenox Ave. at W. 141st St. Depending on the potency the opioids, they are worth anywhere from $10 million to $20 million. $200,000 in cash, a money counter and a kilogram press were also found in the apartment. “The amount fentanyl and heroin seized is a chilling reminder the daunting threat lethal opioids pose to vulnerable substance users and those tempted to try readily available drugs,” Special Narcotics Prosecutor Bridget Brennan said. Police made the bust after an investigation that required surveillance on Ariel Hernandez and Luisuidyn Garcia Mena. Police watched as both parties met in a black 2019 Hyundai Santa Fe and then followed Ariel who led cops to the apartment. When Ariel left the apartment again he was wearing a backpack that contained three kilos heroin and fentanyl. Ariel, 35, faces charges criminal possession a controlled substance while Luisuidyn, 41, is charged with conspiracy and false personation for allegedly giving authorities a fake name. Both have pleaded not guilty. Epic Beard Men — the super duo comprised of B. Dolan and Sage Francis — are back with a new video for “Pistol Dave” featuring Slug of Atmosphere and vocalist Blue Raspberry. The animated visual finds the Epic Beard Men detailing a shady character every touring musician is likely familiar with, while Slug adopts the Pistol Dave persona to anchor the song. Blue Raspberry, mostly known for her contributions to Wu-Tang Clan material, offers her crooning vocals throughout the track. With animation courtesy of Wasaru, the “Pistol Dave” video doesn’t disappoint. “Pistol Dave” comes from the Epic Beard Men’s debut album, This Was Supposed to Be Fun, which was released late last month Strange Famous Records. Other contributors to the project include Eligh of Living Legends, South African newcomer Yugen Blakrok, New Orleans Bounce legend Vockah Redu, vocalist Kathleen Stubelek of Circle Takes the Square and San Antonio upstart Worldwide contribute brilliant supporting turns. The video will arrive on Adult Swim this weekend. In the meantime, check it out above, peep their tour dates below and cop the album here. For the last week, Eminem‘s daughter Hailie has been spending some quality time at the beach, refreshing her mind before heading back home to Detroit. The social media star has over 1.5 million followers and people have been checking to see what she’s up to. Clearly, Hailie has spent a lot time at the gym this past year, showing f her sculpted stomach a few days ago. She’s still lounging around in the sand but she encountered a little bit a scare when she was wading through a waterfall and noticed what appeared to be a baby shark. I don’t know about you but after the viral song popped f, I wouldn’t want to see a “Baby Shark” around either. Hailie was chilling on the rocks when she decided to get into the water, freaking out when she saw a large fish that resembled a baby shark. Or, at least that’s how she’s describing the run-in. In a later upload, the socialite dipped her feet into the ocean and got upset about how she’ll need to go home once her vacay is finished. “I just found out it’s snowing back at home,” said the Detroit native with a crying emoji. Hailie has been keeping fans updated on her life for months, separating her page into several sections including fitness, travel and other categories. On Sunday afternoon, a young black man with known gang ties shot and killed Nipsey Hussle. The Grammy-nominated rapper/activist rapper – real name Ermias Davidson Asghedom – had long worked with the black community in Los Angeles to end gentrification and gang violence. Now, as his supporters continue to mourn, police have identified who may have killed Asghedom. Just a matter of time before the suspect is caught. Yesterday evening, at a memorial for the slain rapper outside his store, a stampede broke out as mourners suddenly tried to flee the area. Nineteen people were injured. Two remain in crucial condition, and two others in serious condition. At a press conference earlier today, an LAPD spokesperson said the shooting wasn’t gang-related. The spokesperson also confirmed the suspect gloated about the shooting on social media. Following the rapper’s tragic passing, Nipsey Hussle streams have jumped 700% on streaming music services. His last album, Victory Lap, jumped to No. 2 on Apple Music. In addition, his music videos – ‘Racks in the Middle,’ ‘Last Time That I Checc’d,’ and ‘Rap N—s’ – landed on the platform’s Top 5 Music Videos. According to a separate report, Asghedom allegedly owned the masters to his works. If true, the streaming revenue will go directly to his family. 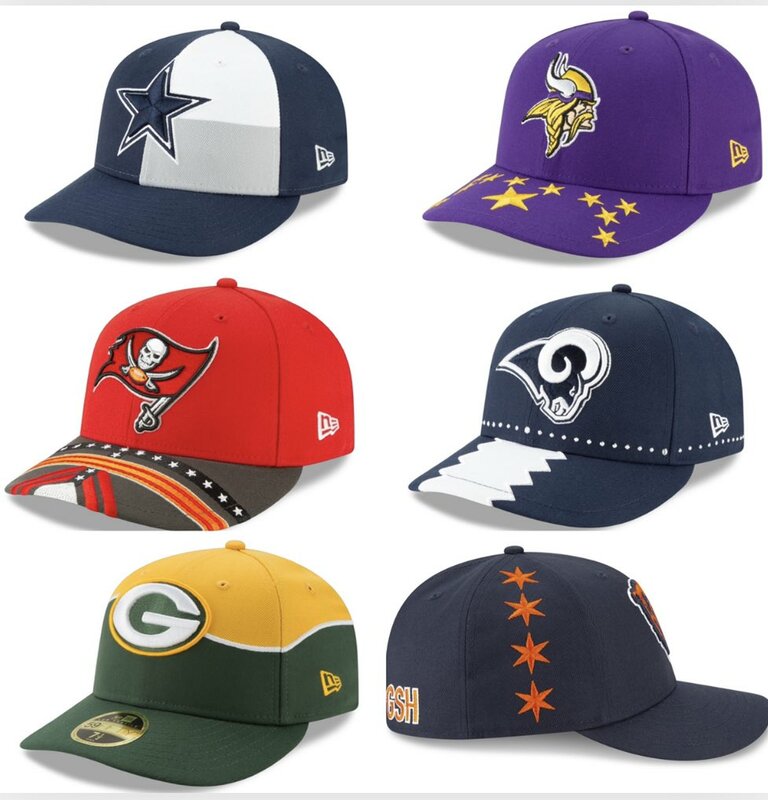 New Era has today launched the 2019 “On-Stage NFL Draft Collection” featuring the very hats that players such as Kyler Murray, Nick Bosa, Josh Allen, Quinnen Williams and others will wear as they shake commissioner Goodell’s hand on Thursday, April 25. 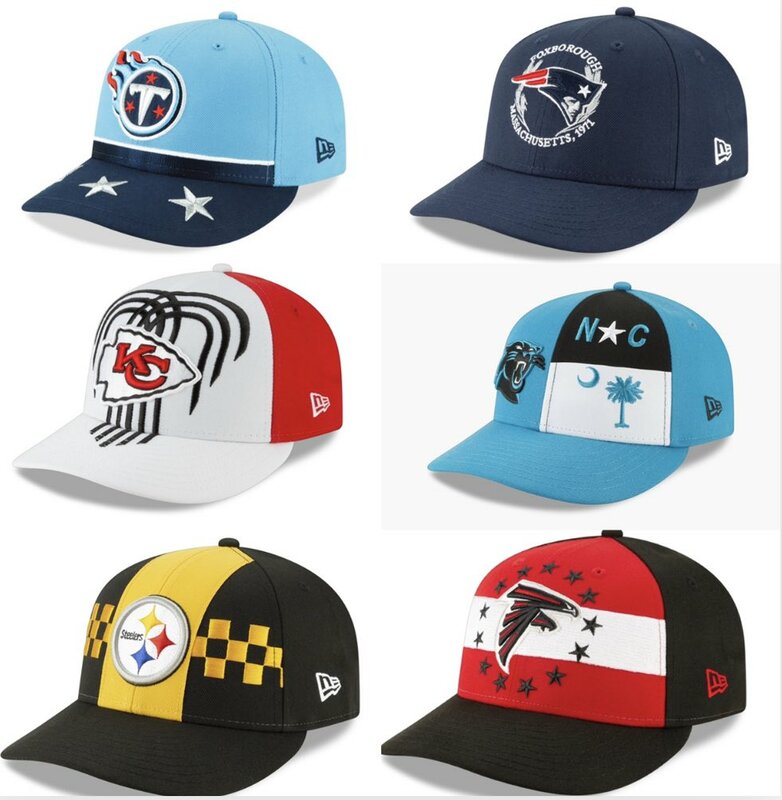 Each cap features an embroidered team logo and unique design inspired by a local flag from each the 32 NFL markets. The NFL 100 logo is featured on the back, making this the first collection from New Era that celebrates the NFL’s 100th anniversary. The New Era 2019 On-Stage NFL Draft Collection fers a mix silhouettes, including the Low Prile 59FIFTY® which will be worn by the players as they join their new teams. The collection is also available in a 59FIFTY® Fitted, 9FIFTY® Snapback, 39THIRTY® stretch fit, 9FORTY® adjustable and a women’s 9TWENTY® adjustable. 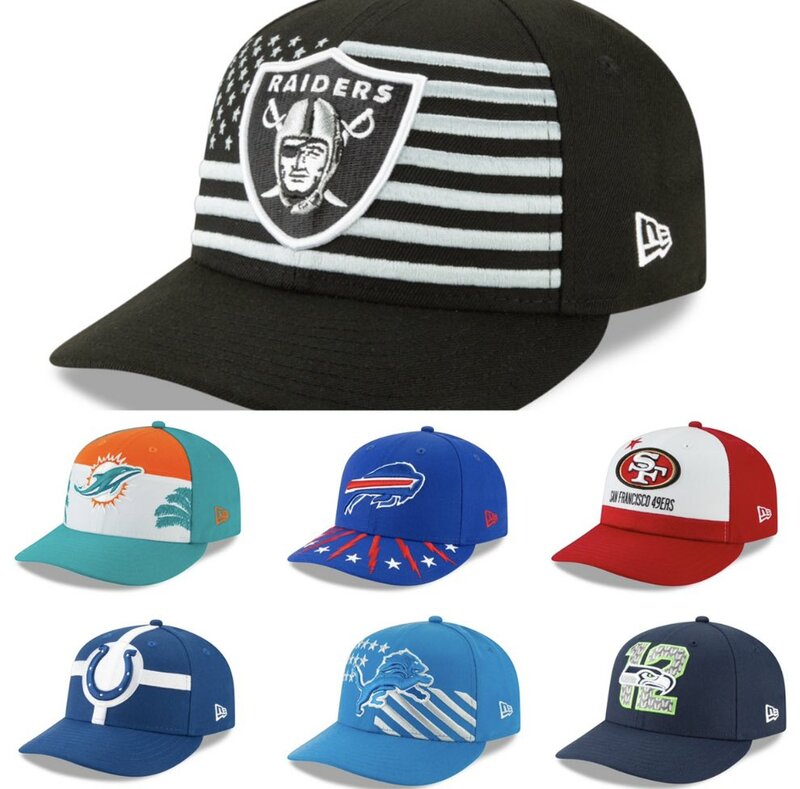 The New Era 2019 On-Stage NFL Draft Collection is available now at neweracap.com. 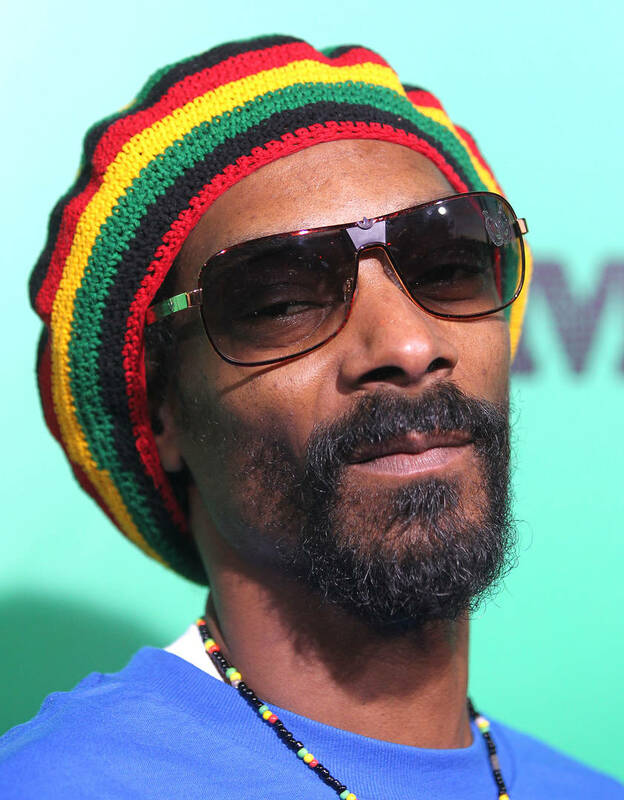 Snoop Dogg Leaves Stench Of Weed In Green Room, Theatre "Big Mad"
If you invite Snoop Dogg somewhere, expect the permeating odor weed to follow. It’s that simple. Yet some people are left surprised by his smoking habits, despite the fact that they’re basically common knowledge at this point. Such was the hard lesson learned by the ArcLight Hollywood cinema, upon holding a premiere for Harmony Korrine’s The Beach Bum flim. The film itself, which stars Snoop Dogg and Matthew McConaughey navigating a weed-soaked beachfront paradise, seemed to encourage a little bit art imitating life. Clearly, Snoop’s inclination to spark up wherever he goes is not appreciated by everyone. Especially those employed at the ArcLight Hollywood cinema. Where do you stand on this one? Should Snoop abstain from lighting up in private establishments? Or is it simply an expected part his charm? Kevin Durant is arguably the best player in the NBA. With LeBron James aging and Durant’s legacy being cemented by championships in Golden State, you can make the case that KD is an all-time great. Having said that, there is no surprise that Nike gave KD a signature shoe as soon as he came into the league. Twelve years later and we’re already at the KD 12, the latest sneaker in the Kevin Durant library. While a colorful 90’s inspired yellow colorway has been revealed, the much simpler “Day One” version is almost here and we have all the details surrounding the release. This sneaker will come in “Black/White-Pure Platinum,” creating a basic default colorway that will surely appeal to those seeking a basic basketball shoe. The upper is completely black, while a white Nike swoosh and midsole add some contrast to the shoe. Meanwhile, a large Air Zoom unit can be found throughout the outsole. According to Sneaker News, the KD 12 will be going for $150 USD and the “Day One” model will be coming out on Saturday, April 6th. The shoe will be available on nike.com and other Nike Basketball retailers.